Will Sarasota's River Road Redesign Ever Happen? Relief may be on the way for Sarasotans who are sick and tired of suffering the travails of River Road. With the next legislative session looming, local transportation panel Sarasota-Manatee Metropolitan Planning Organization plans to advocate for the improvement of River Road as a top priority. What are the traffic safety measure suggestions being put forth to potentially improve this much-hated road? Despite the fact that River Road is a major evacuation route for both Sarasota County and adjacent Charlotte County, the road is woefully lacking many features that would make it effective and safe for accommodating large volumes of traffic. One of the biggest complaints Sarasotans have in this regard is the fact that River Road is narrow and two lanes, which is highly ineffective for evacuation purposes. In the event of a hurricane evacuation, an entire lane of traffic could be eliminated if a car accident or breakdown occurs, putting evacuees at risk. And, in fact, River Road is known for its serious and fatal accidents, even though it is a relatively short stretch of road. Over a four-year period leading up to a failed 2015 grant application for federal funding, 88 accidents and 22 injuries occurred on River Road, according to Sarasota County. Beyond complaints about the widening of River Road’s lanes are worries about how poorly the road is maintained. 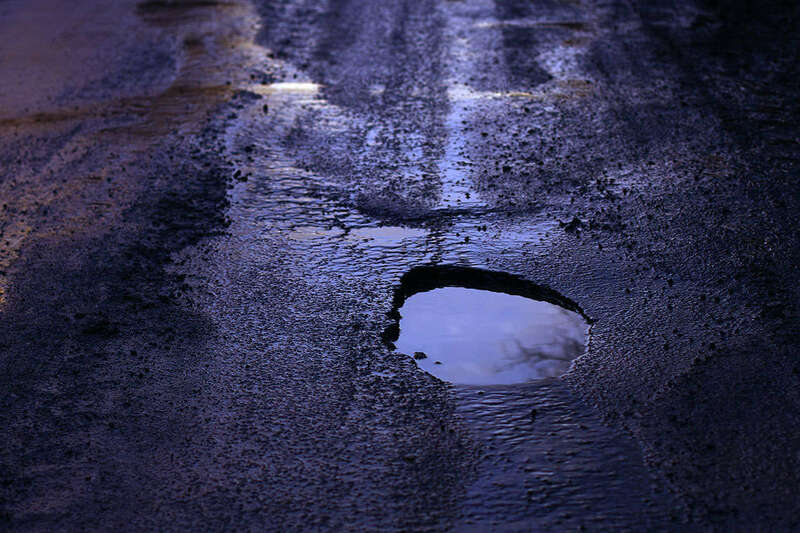 Many residents have shared concerns about the shoddy conditions on the thoroughfare and how much of a danger they pose to motorists, including potholes, flooding, and a lack of streetlights. “Everyone seems to have horror stories regarding River Road,” resident Vicki Nighswander told the Sarasota-Manatee Metropolitan Planning Organization board. Small updates have been made to River Road using local dollars, but all previous attempts at securing federal funding have failed, so the most desired and necessary improvements to the road have yet to come. What are residents, members of the Sarasota-Manatee Metropolitan Planning Organization, and Sarasota County officials hoping to see if funds are secured for a River Road redesign? Attempts to widen this road to six lanes in the past have failed multiple times, despite its designation as a major evacuation route for multiple counties, so updating River Road to become a wider, six-lane road is the utmost priority of both the Sarasota-Manatee Metropolitan Planning Organization and Sarasota County, according to The Herald Tribune. By widening the road, a number of additional measures can be implemented to make River Road a new and improved thoroughfare. As a major evacuation route, River Road should be dependable to drive upon during inclement weather, but it is very prone to flooding. It’s recommended to avoid washed-out and flooded roads when following evacuation plans, according to the Department of Homeland Security. So an evacuation route that floods frequently is a hazard to residents of Sarasota, especially when the flood waters pool into and hide the existence of potholes on the road. “The existing condition of the River Road is also unsatisfactory because it is subject to significant flooding in relatively common rainfall events,” explained Sarasota County in their 2015 grant application for the River Road Regional Interstate Connector. Part of Sarasota County’s request in this grant is for funds to both rebuild River Road and install landscaping that can prevent erosion and absorb the rainwater, preventing future flooding and potholes. As mentioned by some residents, a lack of streetlights, bike lanes, and sidewalks is a major issue on River Road. The 2015 grant application for the River Road Regional Interstate Connector also outlines the need for bike lanes, grassy medians, and sidewalks in order to promote walkability and alternative modes of travel in Sarasota. The grant’s proposed redesign of River Road included streetlights, sidewalks, two four-foot-wide bike lanes, six lanes of traffic, and a 12-foot-wide grassy median to help protect motorists. This median is an especially helpful measure for both preventing crossover accidents and providing refuge to crossing pedestrians, according to the Federal Highway Administration. By adding these safety measures, Sarasota County would hope to address the factors that led to 88 auto accidents on this small stretch of road in the span of just four years. Will the Redesign Ever Happen? Although the Sarasota-Manatee Metropolitan Planning Organization plans to aggressively push the issue of River Road to state legislators, it’s possible their campaign to shine a light on this much-maligned thoroughfare might not succeed. Until improvement projects are approved for River Road, Sarasota residents must remain vigilant when driving on this road associated with dangerous crashes. Have you or someone you love been hurt in a car accident recently? Read more to learn how our car accident attorneys in Sarasota will deal with insurance companies on your behalf to help get the proper compensation for your pain and suffering. If you are prepared to pursue a claim, fill out our free, no-risk case evaluation form today.